Lumbar spinal stenosis is a lumbar spine condition that is a definitive part of the natural aging process. As the human body ages, the spinal column also changes and gets old with the vertebrae, muscles, bones, discs and the connective tissue getting degenerated. All the above mentioned parts are responsible for making the spinal column and the wear and tear that takes place in them often leads to lumbar spinal stenosis which results in lower back pain. Stenosis is a Greek word that means ‘choking’ and most of the time this problem arises due to lumbar spine conditions that are degenerative in nature like osteoarthritis or degenerative spondylolisthesis. 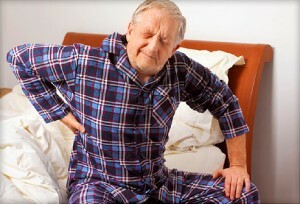 There are a variety of surgical options available for spinal stenosis. However, the best and the most effective operative procedure for spinal stenosis as of now is lumbar laminectomy.